Hangover Hollow Starter Pack is all your hangover needs! The Hangover Hollow starter pack is great for an early morning cast when the Hangover starts. Fishing has always been a great hangover cure. 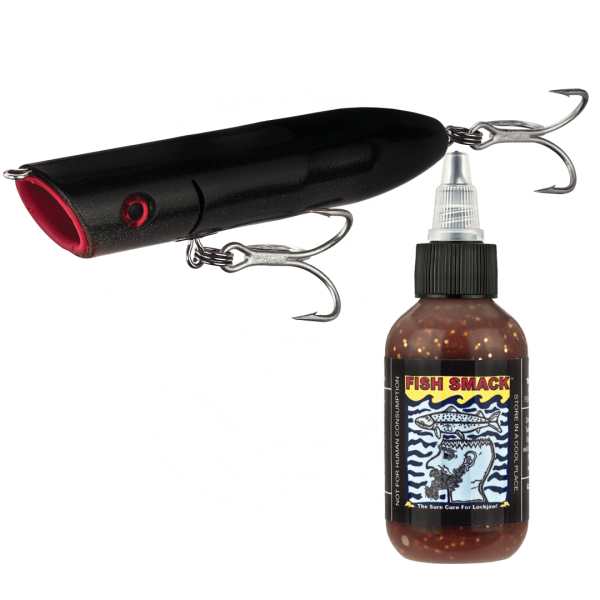 The Black Jack Frigg Plug filled with some Well-Oiled Herring Fish Smack will help you catch a striped bass, which aids in forgetting how cruddy you feel. Even without the hangover this starter pack will help you catch MORE fish!